Why is ethnicity important in studying diabetes? What is the risk of tuberculosis these days? What does “Right to Health” mean? What is the effect of poverty on health? How do you deal with the cultural diversity of patients and colleagues when you are a general practitioner in Amsterdam (160 different nationalities)? How do you adapt treatment and prevention programmes to the specific target groups? How do global epidemics influence your work? In the Global Health learning community, we focus on the major factors that influence the health of individuals and populations worldwide. Their needs cannot be solved via Medicine alone. Therefore, the programme also includes an introduction to Finance, Law, Social Sciences, Environmental Sciences, Geopolitics and the work of the United Nations, and others. The student group will include many nationalities. The language in this community is English. You will have to prove your proficiency in Dutch during the Bachelor phase and might need to learn Dutch, before you can enter the Master in Medicine programme. Most clinical rotations in the Master phase are in the Netherlands. Yet research placements and some clinical rotations can be performed outside the Netherlands. We prepare our medical students for work as medical specialists, researchers or health policy makers anywhere in the world. Kenmerken van het Groninger curriculum zijn:een probleemgestuurd programma waarin de patient en de student centraal staan. 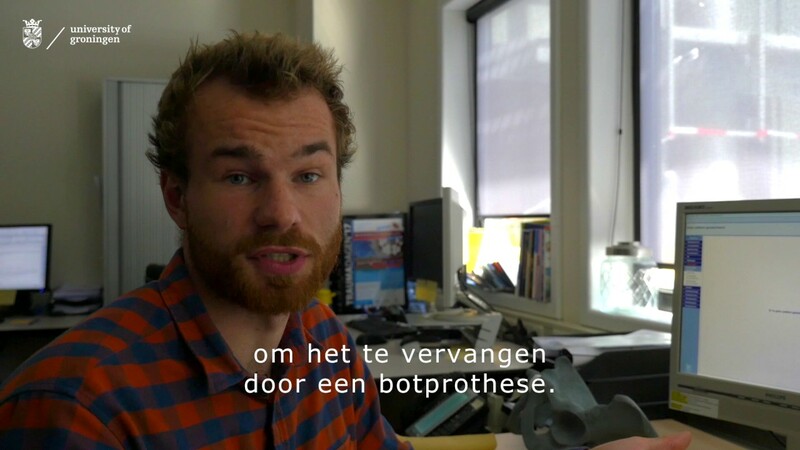 Van studenten wordt veel zelfstandigheid en eigen activiteit verwacht. Veel dingen die je tijdens de bachelor geneeskunde leert zijn in alle vier de learning communities gelijk (de algemeen medische problematiek), het verschil zit in het verdiepende deel. Bij de keuze van de thema's voor de vier learning communities zijn we uitgegaan van de (verwachte) ontwikkelingen in de zorg en de speerpunten van het UMCG. Je kiest de learning community die het best bij jouw belangstelling past. Om de juiste student met de juiste community te matchen is het belangrijk dat je je verdiept in de focus van de learning communities. De focus bepaalt de invalshoek voor de verdieping van de medische problematiek en varieert van “breed-generalistisch” tot “verdiepend specialistisch”. The tasks are related to the themes in the basic programme and put clinical knowledge in a global context. The tasks in the LC Global Health consist of an opening seminar introducing the topic, two sessions in small groups with an experienced facilitator and a closing seminar where outcomes of group work are discussed and further elaborated by specialists in the area. In all tasks students acquire competencies which are relevant for the later performance as medical doctor, wherever in the world. Example task Anaemia: Students learn about anaemia (lack of red blood cells) in the basic programme, and study the causes of anaemia as well as the global epidemiology. Causes of genetic origin, infection, nutrition, etc. are explored. In computerlabs students work with models to experiment with statistics and epidemiology (which constitute the basis of evidence-based medicine). Students learn to how to find and interpret medical literature. With the knowledge gained students are able to describe in a short paper how serious the problems of anaemia are in countries, and which health programmes can be undertaken to reduce the problem. Example task HIV/AIDS: Students analyse a series of blogs by persons living with HIV/AIDS. This gives them insight in how people acquired HIV and which medical, mental and social challenges they encountered living with the disease. In seminars experts in HIV with worldwide experience share their experiences in providing care for patients and discuss challenges for compliance to therapy, side effects of treatment, pregnancy or personal relations. Based on acquired communication skills students produce a video-message for a person living with HIV/AIDS, which is presented to HIV- and communication specialists. During the Bachelor's programme, students first become familiar with basic medical disciplines such as Anatomy; Biochemistry; Physiology and Neurosciences. In the second and third years, the focus is on clusters of related diseases or conditions. The Junior Scientific Masterclass was set up in 1999. The purpose of JSM is providing medical students who were interested in doing scientific research extra opportunities in addition to the regular degree programme. The ideal is to ensure that in the future more medical doctors will do clinical research as well as taking care of their patients. At present there is a great shortage of physician-scientists. Naast de keuzeperiode kan ook de zorgstage in jaar 1 in het buitenland worden gedaan. Please note: Studielink only knows geneeskunde (=Dutch for Medicine). Please select Geneeskunde in Studielink as the degree you want to apply for. We will ask you in a later stadium which learning community you want to participate in. This programme has a numerus fixus with a maximum of 120 attendees a year. After receiving your Master's degree you can pursue a career in global health or a different field in Medicine. You can work in a hospital to become a medical specialist or find a job as a researcher, teacher or policy advisor. In this learning community medical students enjoy to be challenged in looking beyond the basic medical sciences to understand the problems of patients groups or populations, including economic or cultural vulnerable groups. He/she is interested in transcultural communication. All students and staff understand the role of being a health advocate. We are looking for students who dare to think out-of-the-box and appreciate working in an international group.